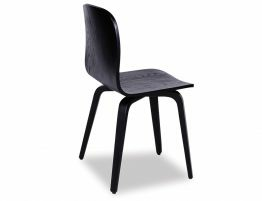 With a padded black linen seat and a black powdercoated steel sled base, the Flip chair is a must have for your modern space. 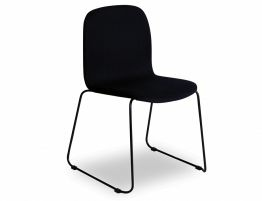 The name reveals this chairs essential characteristic, use this chair in one place and then ‘flip’, use it somewhere else. For today’s modern eco-conscious living, furniture that can fill multiple functions in your space offers you ultimate flexibility and in a very attractive piece no less. 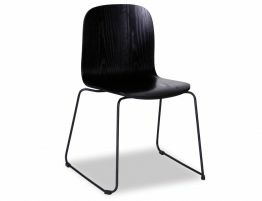 The Flip chair is so sleek, so modern and so practical that you can put it to use early anywhere. 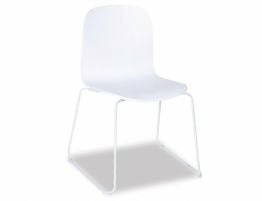 Use the Flip as a casual padded task chair, a comfortable desk chair, a clean and spare dining chair and more. This chair offers a moulded seat covered in a linen grey fabric fitted carefully to the padded seat. 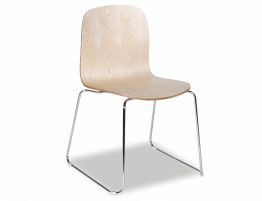 With a chrome base and overall design, this chair is lightweight and on-trend. 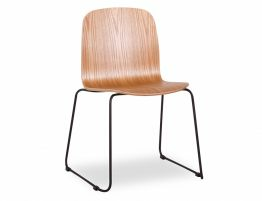 Wherever you need stylish seating, you can put the modern Flip chair to use.